With Long Island Shutters getting the perfect shutters for your windows is easy. 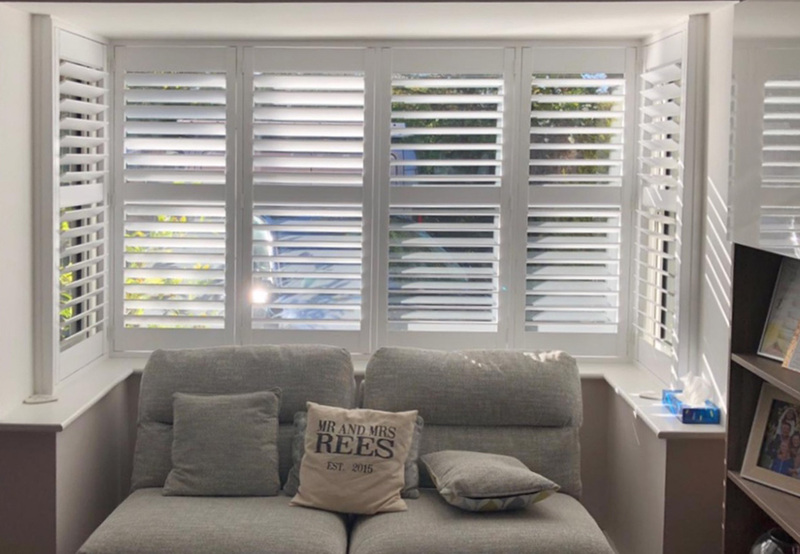 Our extensive range coupled with the many possible style configurations means you can get the shutters you want. Our experienced surveyors will cover all possibilities during a site survey but for now please use the information below to get a glimpse into some of the possibilities. This is our most popular and cost effective range. An engineered wood based product constructed from a Laminated Wooden Core and Low Density fibreboard. The product features an American polymer coating which provides an extremely durable finish, it is available in nine colours. The Jefferson Range is another engineered product with a laminated wooden core but has ABS Louvres. This allows for wider panel widths and is available in 23 colours and our bespoke custom colour service. This range is also available in triangles. Constructed from Solid Lime Wood, The Westbury range is a competitively priced hardwood. The product features an oil based paint finish in a selection of subtle colours. Also Constructed from Solid Lime Wood this range is most often used to fit arched and shaped windows. It is also available in a large variety of colours including custom colours. The Eastport range is a very lightweight hardwood constructed with a laminated wooden core and features a distinctive wood grain. It is available in a large selection of wood stains. This product can also be used for arched and shaped windows. Ideal for harsh environments such as bathrooms, wet rooms and showers. This product is constructed with Marine Grade Stainless Steel hinges and waterproof hardware. This closed cell composite shutter ensures superior strength and durability in any wet or damp environment. This product comes in 23 different colours. All of our ranges are constructed with Mortise and Tenon joints to ensure strength and durability. Interested in how your shutters will cover your windows ? We provide Cafe Style, Tier on Tier, Full Length and Special Shapes. Looking for a custom style ? Why not call our team for more information. Customise how you can open and close the doors with our full width or bi-fold options. Whether your looking for a single or multiple bi folds, depending on door width we can make it possible. The tilt rod is the section of the shutter that is used to control the opening and closing. If you dont like the look of the standard centre tilt rod why not go internal mechanism or off set? We understand not all windows are square, thats why we can cater our shutters to fit a variety of shapes including arched, triangle and much more. At Long Island Shutters we are able to fit to a variety of bay windows regardless of shape and size. Take a look below at some of our previous bay window installations. We have an extensive colour palette across our shutter range. If you’re looking for a bespoke colour, our custom colour matching service will be able to create shutters that match it perfectly.